These 3 Ingredient Almond Flour Banana Pancakes are grain-free, dairy-free, and a super healthy way to start your day! 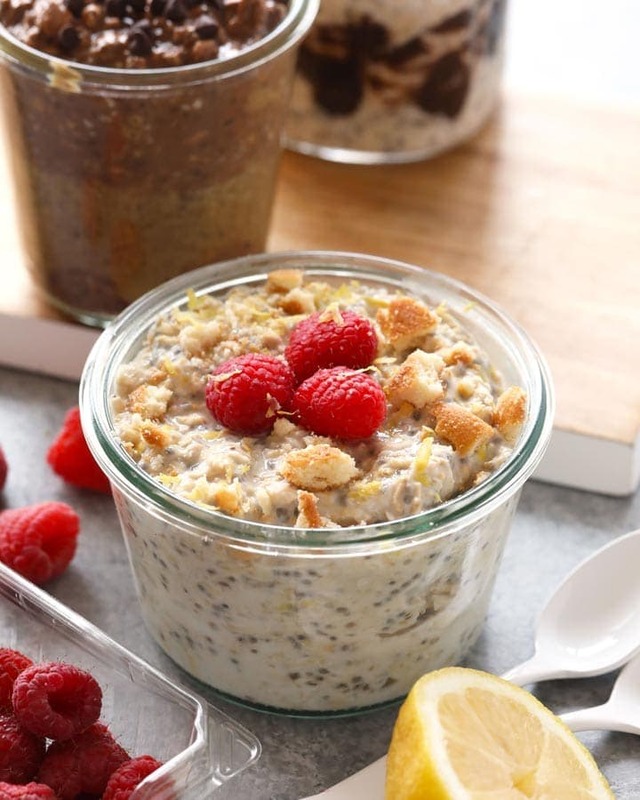 Make them for a healthy breakfast in the morning or make a double batch and store them in the freezer for the week. The moment my skin touches the sun after a long Minnesota Winter, something happens to me. Suddenly, I want to book every campsite I’ve ever been to, drink margaritas, and my eating habits change quite a bit. For those of you who live in a cold weather state, you know what it’s like to have your first weekend of patio weather. It feels like you don’t have to go to work because the sun is out and because it’s grilling season, it doesn’t matter how many times you day drink on the weekend..because…the sun is out, HELLO!? 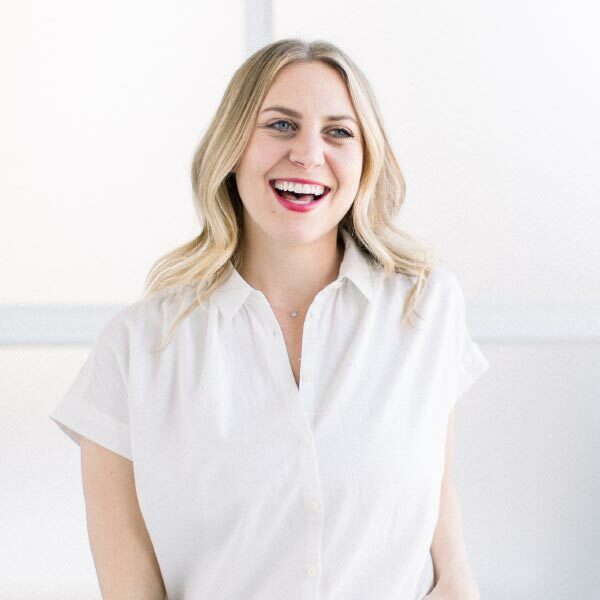 I feel like I can do anything as long as that pie in the sky is dishing out unlimited rays of Vitamin D. I heart the warmer months in Minnesota, because of all these reasons. People let loose. It doesn’t matter who you are or what your job is, there is s shift in attitude. People let their hair down and everyone is smiling. Yes, the winters get long, but having a break from the sunshine really makes me truly more grateful for glorious spring + summer days. We love pancakes. 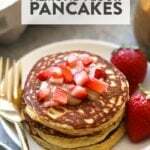 After you make these almond flour pancakes, check out The Best Pancakes on the Internet and get inspired! We don’t discriminate when it comes to pancakes. We love gluten free pancakes, healthy carrot cake panacakes, fluffy buttermilk pancakes, cottage cheese pancakes, and everything in between. These almond flour pancakes are a regular in the Fit Foodie kitchen. They are a great 3 ingredient recipe (baking powder optional) for a busy weekday morning. 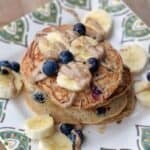 Not only are these healthy pancakes easy to make, but the taste amazing and the consistency is also cakey and delicious. They are a pretty blank canvas, so we decided to help you brainstorm healthy pancake topping ideas! 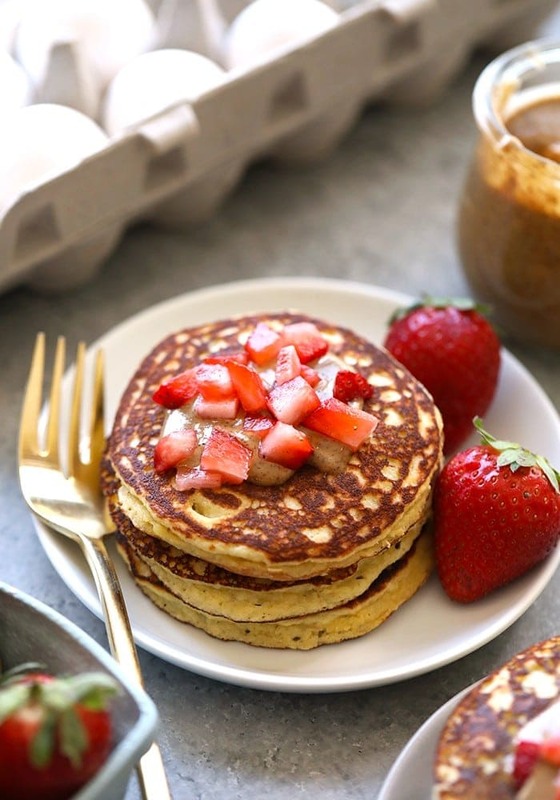 Feel free to make these almond flour pancakes your own by choosing your favorite pancake toppings! We love mix and matching fruits, nuts, nut butters and more! Below are some of our favorite pancake topping combinations! When it comes to flapjacks, you have questions! There are many things to consider when making pancakes, especially if you have specific diet needs. Don’t worry, we’ve got you covered. Can you substitute almond flour for all purpose flour? No, you cannot substitute almond flour for all purpose flour. Almond flour absorbs liquid quite differently than almond flour, so if you would like to use all purpose flour I would find a recipe that calls for that specific flour. Is almond flour low in carbs? Yes! Almond flour is one of the healthiest low carb flour options on the market. In 1/4 cup of almond flour, there are about 6 grams of carbs. Can you freeze almond flour pancakes? Yes, you can freeze almond flour pancakes. Follow the recipe for almond flour pancakes and let pancakes cool completely. Then, place almond flour pancakes in an airtight storage container. Seal the contaier tight and store them in the freezer for up to 3 months. To prepare the amond flour pancakes after they’ve been frozen, pop them in the toaster or in the microwave and enjoy! 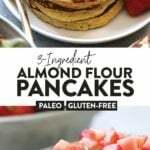 Are almond flour pancakes gluten free? Yes! Almond flour is gluten free. Just be sure to check and see if the almond flour you buy is made in a gluten free facility! 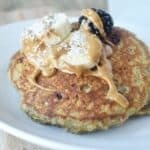 Can you make almond flour pancakes vegan? 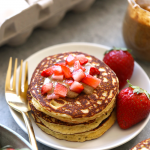 Yes, you can make almond flour pancakes vegan by substituting regular eggs with a flax egg! YOU GUYS, you can’t beat three ingredients in any recipe. So hop, skip, and jump to it! Then, place in medium size bowl and add in the other 2 eggs. Whisk until combined. Finally add almond flour and baking powder and mix until smooth. Heat a frying pan to medium heat and spray with nonstick cooking spray. Using a 1/4 measuring cup, scoop batter onto pan. Let cook for around 2 to 3 minutes per side. Alternatively, you can use a fork.